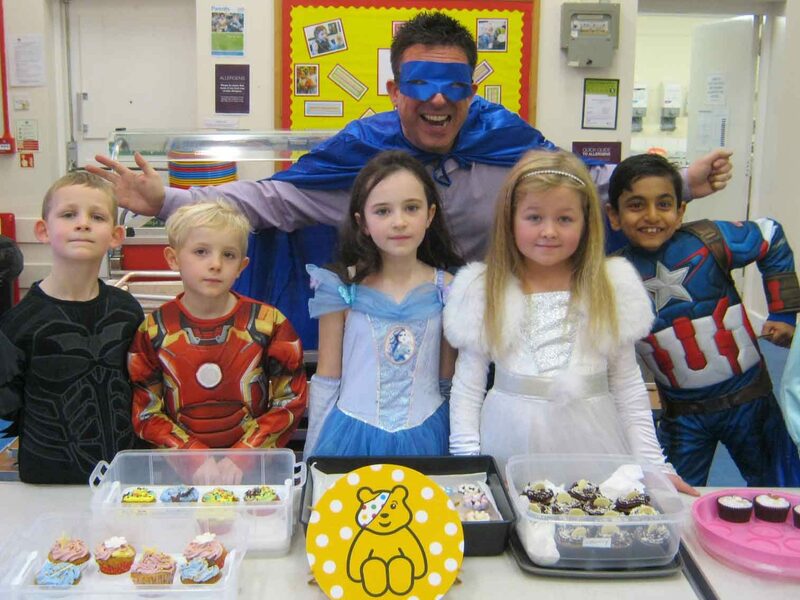 Children in Need had as its theme super heroes this year. Children at the Nursery & Infant School, along with their teachers took the opportunity to dress accordingly and raised money in support of this very worthwhile cause. Additional donations were raised by covering a drawing of Pudsey with money and Year 3 sold lots of cakes. Over at the Prep & Senior School pupils came in either non uniform or dressed as super heroes. Pupils from Year 7 organised a treasure hunt and sold Pudsey biscuits, whilst Year 11 sold Pudsey merchandise. Across the School over £1,000 was raised, well done everybody.